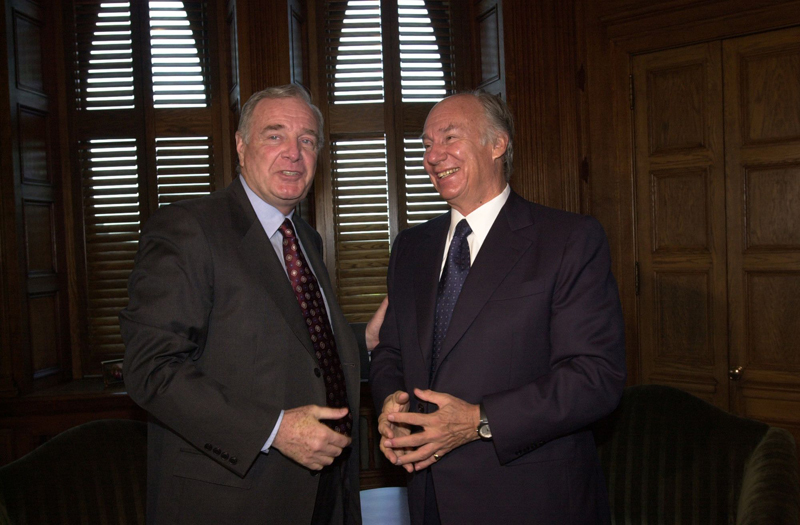 Canada's Prime Minister Paul Martin receives His Highness the Aga Khan in Ottawa. 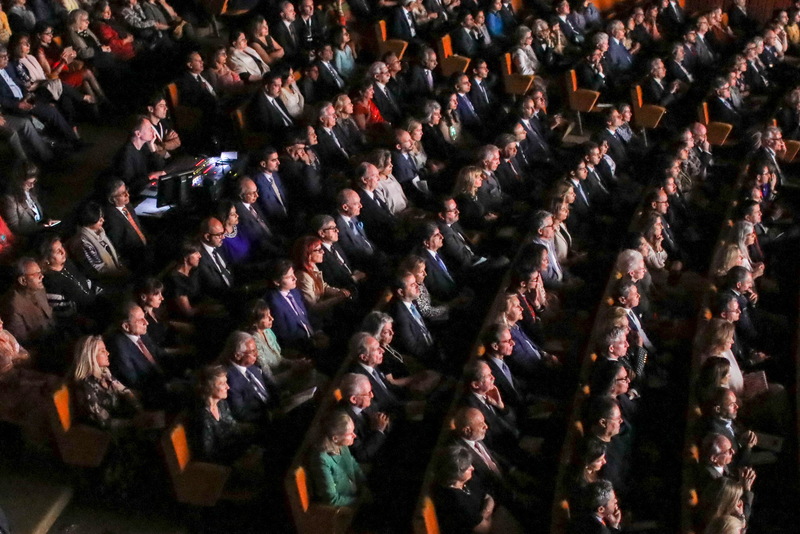 His Highness the Aga Khan in discussions with Canada's Prime Minister Paul Martin in Ottawa. 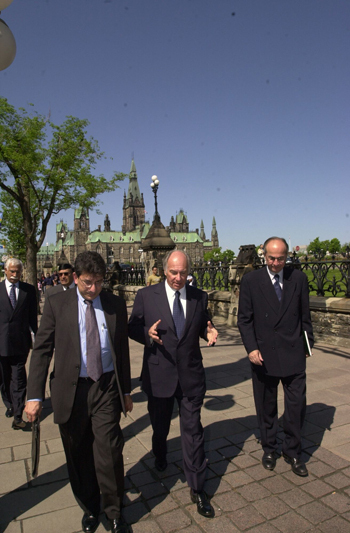 His Highness the Aga Khan arriving for meetings in Ottawa. The Houses of Parliament are in the background. 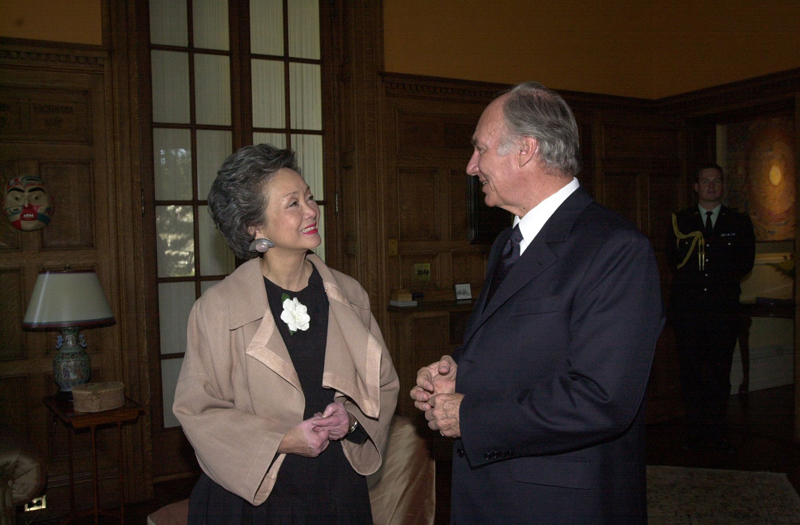 His Highness the Aga Khan with Canada's Governor-General Adrienne Clarkson. 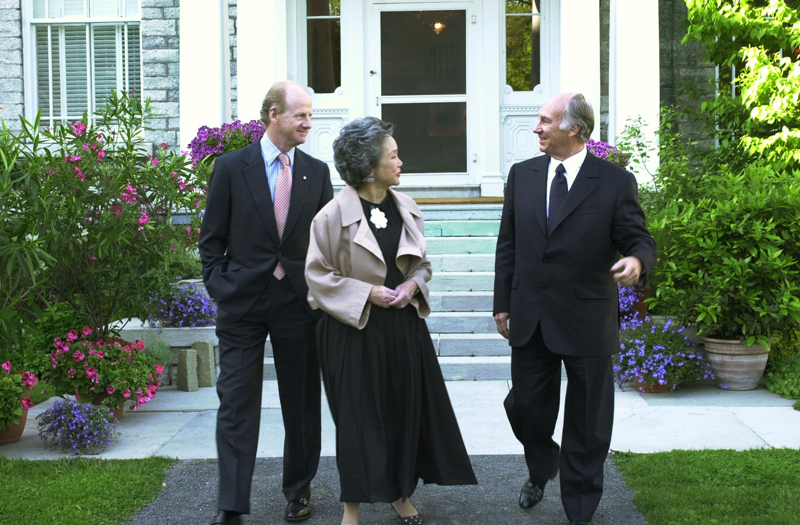 Their Excellencies Governor General Adrienne Clarkson and Mr. John Ralston Saul with His Highness the Aga Khan at Rideau Hall, Ottawa. 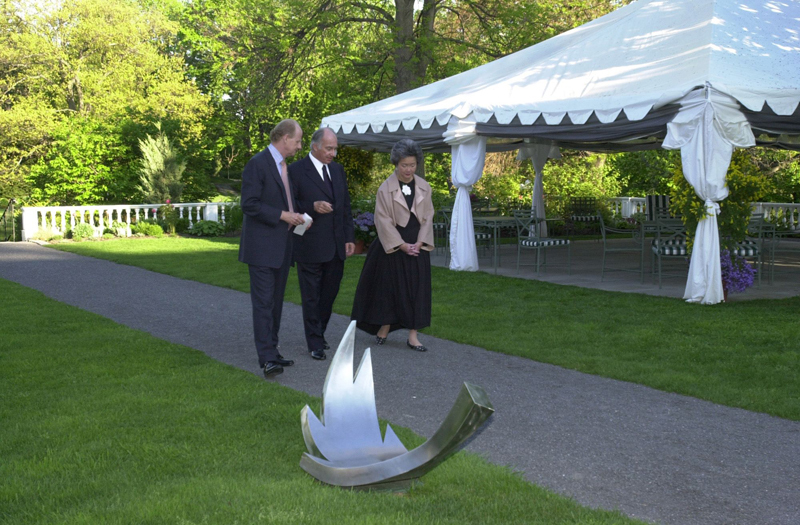 His Highness the Aga Khan with their Excellencies Governor General Adrienne Cl arkson and John Ralston Saul in the grounds of Rideau Hall. Gatineau, Quebec, Canada, 19 May 2004 - His Highness the Aga Khan, the 49th hereditary spiritual leader (Imam) of the Shia Ismaili Muslims and founder of the Aga Khan Development Network, today outlined the need to recognise both the fragility of democracy as a form of governance as well as its virtues in advancing human development.